Tommy Justice is the former singer and guitarist of the rock band Ruff Justice and also the former guitarist and singer of Hard rock band PsychoHero. 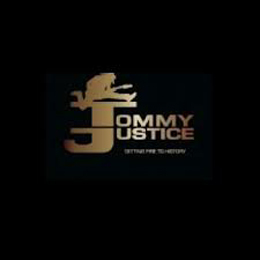 After 4 years with Ruff Justice and winning the 1st place in Hertford's battle of the bands in 2006, The band ended their partnership and Tommy joined the hard rock band PsychoHero. works with original Ruff Justice Bass player Richie Scott. Tommy has now released his debut album 'Setting Fire To History', witch was produced by John K.
OK, to be honest and quickly, I’m not a fan of this record. The man knows how to play his guitar, really I have no comments on that part, nothing but kudos. But the record just doesn't rub off on me. It's more of a 80's rock album with those typical mellow and shallow lyrics witch to be honest aren't even brought properly. It's a shame because apart from that this album has potential, but i can't bare to listen longer than 30 seconds to this.